Vibronics, Tony Roots, Mungos Hi Fi, Sugar Minott, Mungo’s Hi Fi, Riddim Tuffa, Little Kirk & Diegojah and more. This is a charity-project for helping the people in Ethiopia in the agriculture, school education & HIV/Aids sector! 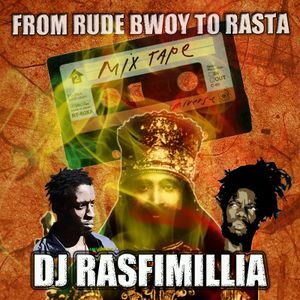 After a lot of work I got all the permissions of the Labels/Records to use their tracks, There are 300 copies of the Mixtape "From Rude Bwoy to Rasta", one Mixtape costs 10€ and you can order them via e-mail: [email protected] ! 100% after production costs will get spend to this Project (by Kindernothilfe Österreich)! write an e-mail to [email protected] with your name, adress, zip code, and country and number of how many CDs you want to order!